Broadly defined psychobiology is a wide field of scientific endeavor, which bridges the artificial divide imposed by the Cartesian philosophy of things of the mind and things of the body. Starting in the early decades of the 20th century, mind-body research developed new avenues of understanding in Western science. It became increasingly clear that processes attributed to the psyche, including emotions, cognitions, memories, and personalities, had important effects upon physiological events, could disrupt homeostasis, determined and controlled allostasis, and arose, in fact, from biological phenomena driven by cell biology, biochemistry, genomics and, in a larger sense, interactomics. In brief, psychobiology reunited, at last, the sciences of psychology and physiology. Current advanced research in psychobiology proffers a new perspective on human and animal behavior, with cognitions, emotions, and traits describing the interaction between biological systems and behavior. Today, novel frontiers in psychobiology research encompass how cognition (what we are thinking) and mood (how we are feeling) combine with, determine and are engendered by biological events. The superb chapters that compose this book are written by the premier internationally and most renowned psychobiologists in the world at this time. They examine several of the most important domains of psychobiology research today: from a novel conceptualization of stress in the context of the person-environment fit model, to the modulation of immune surveillance by perceived stress, the alterations of cognition by pharmaceutical use and over-use, as well as from athletic training or ionization poisoning to, ultimately, the brain-gut interaction. The role of functional MRS in the study of advanced research questions in psychobiology is also discussed in depth. Taken together, this collection of chapters make this book on advanced psychobiology both timely and critical. 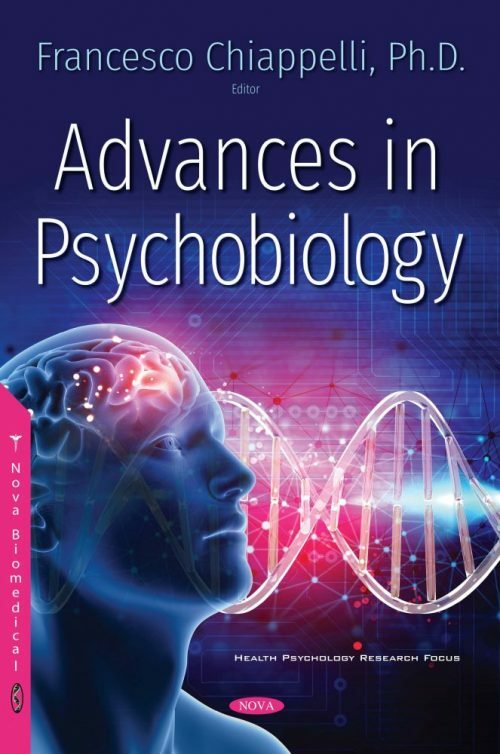 Expectations are that future research development in psychobiology, as the field continues to advance, will continue to strive to understand how psychological and biological connections shape the human experience. Psychobiology will increasingly provide a uniquely new perspective in psychology on the one hand, and on the other hand, in biology along several of the dimensions proffered in this book.